But just a few steps from the Piazza (Lytham Square) in a quintessential British town! 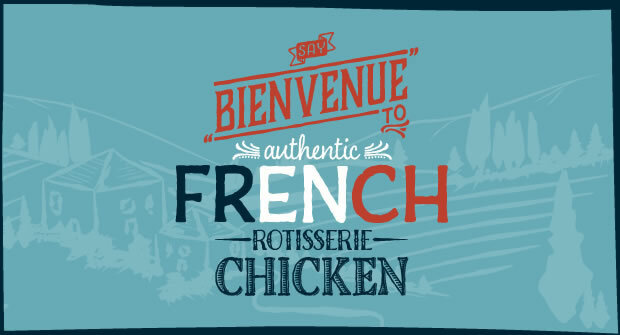 Le Roti will serve you a range of hot meats and rotisserie chicken, hot and cold sandwiches, on their own freshly baked bread, salads, homemade soups. Plus boxed meals which include salad, homemade coleslaw, stuffing and their legendary roti potatoes (cooked with onions. garlic, rosemary and thyme) and to finish off a selection of yummy cakes and drinks. Rotisserie as a method of cooking meat over fire, the rotation ensures that the juices and flavours are kept in and it stays moist and succulent! As a special treat on Sundays they offer full Roast Dinners including:- stuffing, gravy, roasties, root vegetables & cauliflower gratin & even Yorkshires!!! If visiting the area for the day, don’t carry lots of stuff with you, try a take away ‘pique nique’ and if you are a local please remember to pick up your loyalty card!